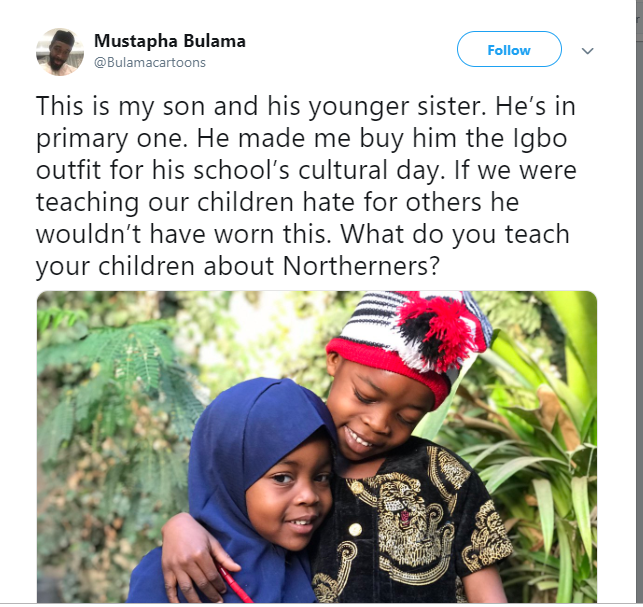 A Nigerian dad from the northern extraction, Mustapha Bulama started a Twitter thread where he shared a photo of his son dressed in a Igbo attire for his school’s cultural day. He said his son made him buy the traditional Igbo outfit and if he had been teaching his child to hate other ethnic groups, he would not have asked for or worn the outfit. Nigeria is a ethnically diverse country with over 250 ethnic groups. Over the years and as politics continues to thrive and shape the fate of citizens, cultural and religious lines have been greatly exploited by politicians and other power thirsty people to drive a wedge amongst the tribes. Consequently, a lot of hatred and bigotry as well as violence has marred what should have been an advantage for us all. With the recently held elections, we witnessed a lot of hatred and incitement among different tribes, but Mustapha spinned the narrative when he started his thread on tolerance. 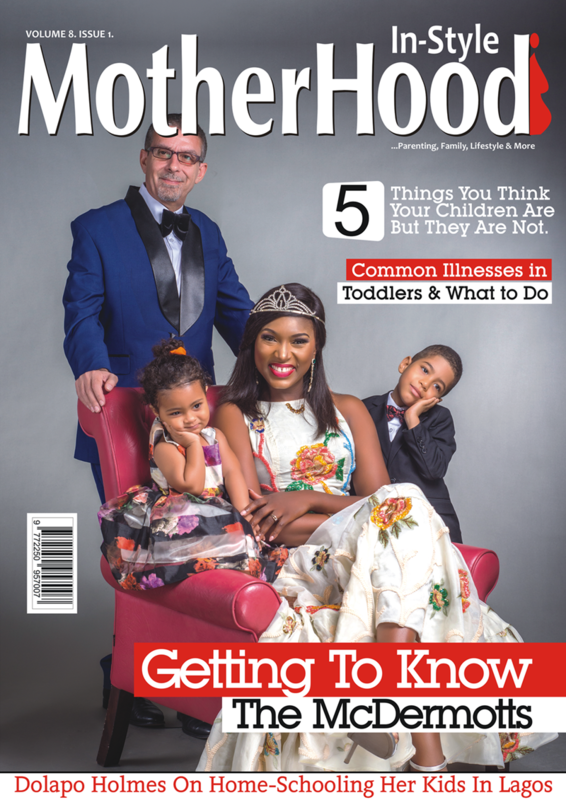 Other parents took the cue and began to share their own efforts at raising their kids with a tolerant attitude for people who have different cultural identities. “This is my son and his younger sister. He’s in primary one. He made me buy him the Igbo outfit for his school’s cultural day. If we were teaching our children hate for others he wouldn’t have worn this. 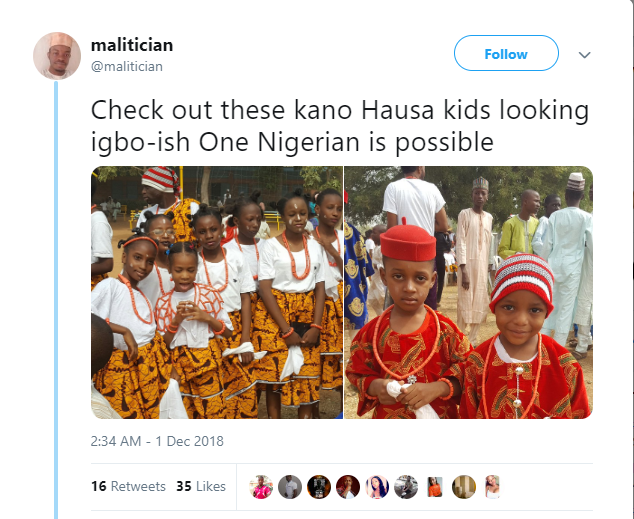 Other parents followed his lead on the thread sharing pictures of their kids donning cultural attires of other tribes as well as their thoughts on the subject. also wore Igbo attire for her school’s Cultural Cantata in Kano. 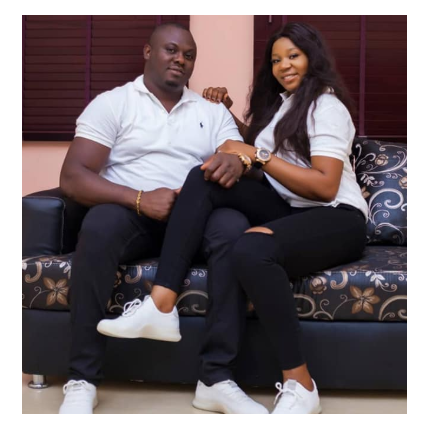 He was pleasantly surprised when she asked her mom for Igbo attire. So yes, what are we teaching our kids? Wrote a lady on the app. …we have never be so divided before under any president..